I had sleepless nights thinking about it. It undermines both Open Source and Communism – both utopian concepts, calling for a more enlightened state of affairs. The die-hard open source users I’ve known belong to all sections of political spectrum. Richard Stallman once said that free software borrows a little bit from socialism, from capitalism, and from anarchism, and adds a little twist of its own. Free and Open Source software is something totally new, and cannot be categorized in historic terms. Free software removes the restriction on copying and modifying a software, thus making it more productive. It also requires source code made available, allowing easier modification. 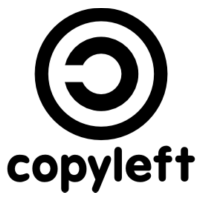 Since copyright essentially wrecks the usability of software in many ways, adopting free software is the obvious alternative. The resulting market is vastly superior to the closed corporate software world. Hence, seen through the lenses of Adam Smith, Free and Open Source Software is Capitalism in it’s truest sense, without boundaries and it does not indiscriminate. The only way it is communist is that a class of property which has been artificially created by state licensed monopoly is eliminated. So is the corporate monopoly on Software. A few capitalists inconvenienced, that’s all. I was reading parts of “The Cathedral and The Bazaar” by Eric Raymond when I got some insight into this issue. Linus Torvalds’ lack of desire to make money out of Linux is directly attributed to his academic grandfather and his communist father. The philosophy behind any open source software is simple. Instead of zealously protecting the source code, open source encourages any programmer to tear apart the code and build it back up again. The theory is that this collaborative process encourages innovation and decreases bugs by increasing the number of people with a stake in the project. Open source as defined by Richard Stallman and his GPL do equate to communism. One only needs to read his treatise “Why Softwares Shouldn’t Have Owners” to see the parallels to the Marxist principle of collective property rights over private ownership. Indeed, he reasons that if you engage in the sale of software you are in effect perpetrating theft against your neighbour by denying him free access to that program by means of economic disadvantage. To earn a living by developing and selling software is high treason in Stallman’s world of open source, unless it is released under the auspices of the GPL and thus devoid of any proprietary protections. To me, being a Socialist, it interests me. 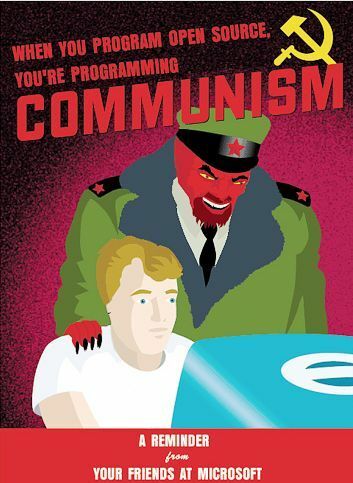 I have no issues with Open Source being called Communist. Although, I would call Open Source Socialist instead of Communist. To each according to his contribution, and not need. Maybe. This entry was posted in Economy, Technology. Bookmark the permalink.